Although Franklin D. Roosevelt may have the right sentiment, your investment in real estate property is only protected and safe when you have enlisted the assistance of a trustworthy contractor. In fact, much of your real estate investment travails lies solely in recruiting a contractor you know you could trust. Nowadays, real estate property does not come cheap and buying a home is one of the world’s most expensive investments that would take almost a lifetime to achieve. Knowing this, you as a potential investor would want to know that your money and your interest are in good hands. So much so that the knowledge that it could fall into some unsavory charlatan’s hands can be rather alarming. However, amidst a millennial's perpetual busy lifestyle, employing a contractor is a necessity albeit a risk. And though, it implies a certain gamble in your investment, this does not necessarily mean you should just blindly surrender to that fact without undertaking certain precautions. 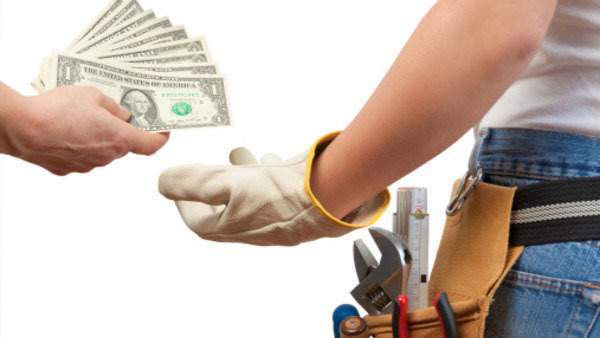 If you are a wise homebuyer, you would know that you can significantly decrease your chances of being ripped off if you know you have hired a contractor you can rely on. To ascertain you would hire one, see the steps below so that regardless of whether you are planning to buy a house in amaia homes or amaia scapes Pampanga, your mind can be at ease knowing you would be saving yourself the time, money and more importantly all the trouble. Part of knowing which contractor to trust is to learn what the common scams are. More often than not, “Today Only” discounts would spell a scam and if a contractor would offer you a price that is available only for today, then you would be better off by showing him the door. Sometimes, these contractors would come up with an elaborate scheme-- signing today would entitle you to a “model home” or they may entice you with an “advertising discount” just to get you to agree with them. However, do not be fooled, a usual ploy in giving you this false discount is to mark their prices higher than the usual price—an old trick that would pressure you into making a quick decision. One primary thing to keep in mind when it comes to your contractor is that this is your money and this is your investment, so you should never feel pressured into making a decision as regards choosing your contractor. Any persistence from their part would mean that it is high time for you to look for another contractor. Take note, being pressured would lead you to make bad decisions when it comes to remodeling. There is a big chance that these people are swindlers under the guise of being a contractor and if you allow them entry to your home, you might be as well inviting thieves and robbers inside. Be vigilant and extra careful about who you are inviting inside and do not allow them to enter before you have checked them out thoroughly or you would end up losing valuable items in your home. Although it is ill-advised to hire a contractor who came to you for a job, not all contractors soliciting work are dishonest. Some of them could be professionals and are both honest and reputable. But before inviting them inside, have the foresight of checking them out first before agreeing to their services. Ask them for their business card and some of the names, addresses or telephone numbers of the people they have done work for or are doing work for. Contact these people and take a look at the quality of their work. Having a contract with your contractor would legally bind both you and your contractor to what the stipulations you have agreed to. When one does not deliver, the other can legally enforce their agreed terms and conditions. This contract would not only serve to protect your interests, but your contractor’s as well which would make it mutually advantageous to the both of you.